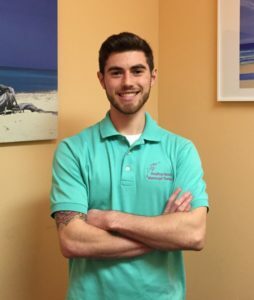 Our licensed massage therapists are skilled and dedicated to offering patients every opportunity to improve their mobility, pain and general well-being. We are passionate about the benefits of all massage techniques, incorporating a soothing, beautiful space for Healing Hands Massage Therapy into each of our three office locations. Pregnancy tables are available. Helene Finkel, LMT is a Licensed Massage Therapist who has been healing patients for over 20 years. Professionally trained in Deep Tissue Medical Massage, Trigger Point, Myoskeletal and Myofascial therapy techniques, Helene specializes in treating lower back pain from an injury or a degenerative condition. 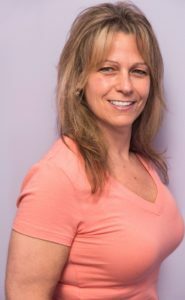 Shayne Prentiss, LMT is a Licensed Massage Therapist who graduated from New York College with an Associate’s Degree in Massage Therapy. While at NYC, he became skilled in Sports Massage, Deep Tissue, Medical, Swedish, Trigger Point, Stretching and Chair Massage. 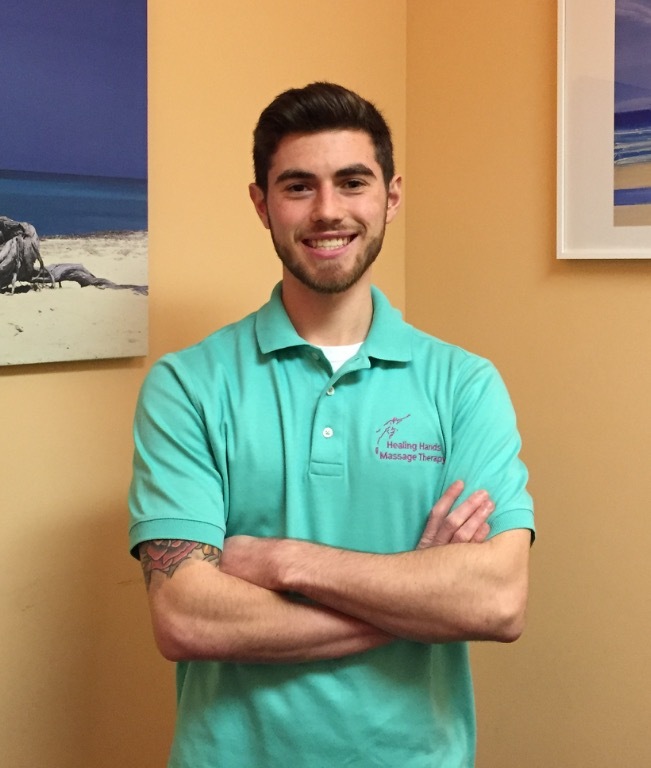 He then continued his education in New York City, studying Myofascial Release under John F. Barnes! Shayne loves learning new techniques to better help his patients. Focuses on the body’s soft tissue to promote a balanced state of health. Techniques such as stroking, kneading, tapotement, vibration and friction can enhance and assist in the recovery from injuries. European Massage has been proven to decrease heart rate and blood pressure, improve circulation and lymph flow and increase the body’s own pain killers called endorphins. It is also beneficial in pre and post sport events, stress reduction, improving joint movement, soothing muscle aches, pain, stiffness and decreasing spasms. An ancient art of healing by elements of mother nature to bring relief to tense muscles, stressed emotions and a weary spirit. By massaging with the deep penetrating heat of smoothed stones, your therapist is able to deeply and effectively work your muscles and balance your energy. Please note that this service has special time requirements and pricing. A reflexologist uses their hands to apply gentle pressure to the feet. By working on specific points, the reflexologist can release blockages and restore the free flow of energy to the entire body. Tensions are eased and circulation is improved. The feet are the hardest working, yet most neglected part of the body! Treat them well by scheduling your reflexology session TODAY. Slow, deep pressure strokes aimed at freeing congestion from muscle attachment sites and reorganizing chronically-contracted tissue. Normalization of soft tissue affected by stress, injury or illness through the use of manual techniques which will improve circulation to the affected area. Deep massage that assists with injury prevention, injury rehabilitation and improving athletic performances. Sports massage can also decrease recovery time to maximize performance during an event or training. Sports massage techniques can reduce fatigue, increase flexibility and prepare the mind and body for optimal performance. The application of soothing and comfortable pressure to various anatomical points on the body by the thumbs, fingers and the palms of the hands. Pregnancy massage is massage therapy specifically tailored for the expectant mother’s needs with the use of a pregnancy massage table. The myofascial release approach is a form of soft tissue therapy used to treat somatic dysfunction and resulting pain and restriction of motion. This type of massage is a very portable form in which the client sits leaning forward with their head resting on a pad. This allows the massage therapist to have total access to their neck, shoulders and back.